Beauty may be in the eye of the beholder, but Alanna caught the eye of thousands who saw a photograph of her in The Ashton-Drake Galleries third annual Baby Photo Contest. With more than 2,000 entries, her picture, submitted by her proud godmother, was the fan favourite! 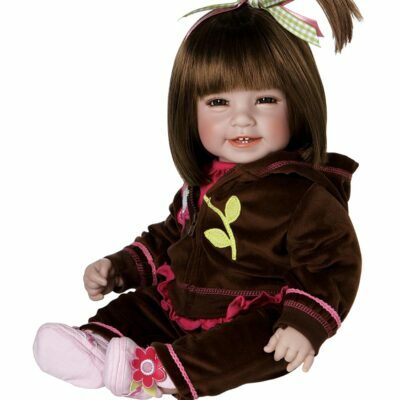 Now, meet the So Truly Real® Alanna Baby Doll, an exclusive Collector’s Edition portrait doll by Master Doll Artist Ping Lau. 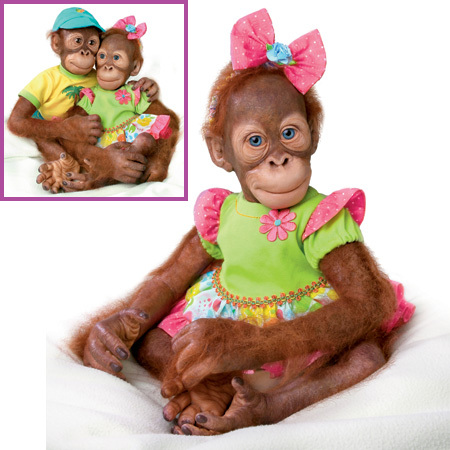 Working from the contest photograph, Ms. Lau meticulously captured Alanna’s darling features and her bubbly personality to create a lifelike baby doll guaranteed to win the heart of anyone who holds her! Alanna is handcrafted of RealTouch® vinyl with hand-applied lashes and is hand-painted to enhance her precious beauty, from the soft blushing of her cheeks to her delicate brows and rosebud lips. 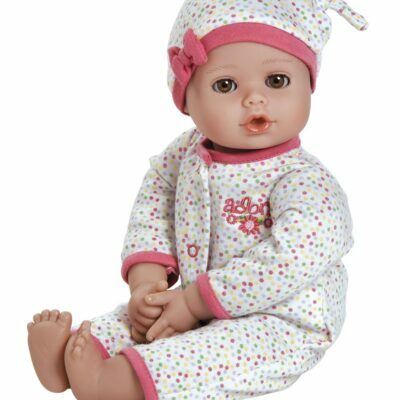 She is weighted and poseable to feel so perfect in your arms and wears a charming gingham romper to match the floral organza headband in her soft, curly hair.